Editors’ note: Would you join us in helping thousands of church leaders in China by providing gospel-centered resources? Between now and April 1, all gifts to our Chinese Outreach will be matched (up to $40,000). Click here to learn more about this Theological Famine Relief project. I have a friend who travels to China several times a year for ministry. His plans are top secret; even those traveling with him aren’t informed of trip details, and other parts of the itinerary are only unfurled on a need-to-know basis. The whole team wears sweatshirts or jackets with hoods, shrouding their identity as soon as they hit the ground. A blacked-out van takes them to an undisclosed location, along a circuitous route with multiple switchbacks along the way. Once at their training facility, they don’t see the light of day until they’re on their way back to the airport. Perhaps you’re more familiar with the former description of ministry in China, perhaps the latter, perhaps both. Regardless, seemingly contradictory reports on ministry in the Middle Kingdom can lead to no little confusion. So what is ministry in China really like? Here’s a primer to help orient you to the landscape. First, a disclaimer. I can’t tell you what anything in China is really like—that is, unless we’re comfortable with saying it’s like a bunch of contradictory things all at the same time. A faithful and honest description of Chinese Christianity will be nuanced and somewhat paradoxical, not definitive and one-sided. Joann Pittman wrote an extremely helpful article that should be required reading for anyone visiting or discussing China. In some places and at some times China is one thing, while at other places and times it’s the opposite. So the goal of understanding what China is really like must be tempered. Or at least approached in a way that allows for ambiguity and recognizes the enigma of the subject. Toward that goal and in that spirit, here are five things helpful to understand about the church landscape in China. 1. Understand the legality of Christianity in China. Christianity in China is not illegal. The official stance of the Communist Party is atheistic, but that’s not forced on all Chinese citizens or expatriates. Protestant Christianity is one of five approved religions alongside Buddhism, Taoism, Islam, and modified Catholicism (I say “modified” since the Chinese Catholic Church is forced to operate independent of Rome). True, but the legality of Christianity is only one of several things we must understand. 2. Understand the Three-Self Patriotic Movement (TSPM). Christianity has been in China for a long, long time. Its public visibility, though, has come and gone. Christian missions began with Matteo Ricci in 1582, but Christianity was outlawed and labeled an “evil cult” in 1724. Treaties in 1860 re-allowed missions, only to have all missionaries expelled by the Communist Party in 1953 and all religious groups banned by Chairman Mao in 1966. By 1979 approved religions were re-allowed, governed by the Three-Self Patriotic Movement (TSPM) and the government-run China Christian Council (CCC). Breaking down the TSPM moniker is helpful. First, it’s a Movement. But it’s not just a movement; it’s the movement since China is, by and large, afraid of things like networks, coalitions, synods, presbyteries, and denominations. China doesn’t like large, organized groups that can easily stir the masses. So there is one movement to rule all movements: the TSPM, ruled by the Chinese Communist Party. Second, it’s a Patriotic Movement. It’s hardly accidental that the movement governing Protestant Christian affairs has no religious lingo in its title. Allegiances lie first and foremost with The People’s Republic. Third, it’s the Three–Self Patriotic Movement. The “three selfs” are these: self-governed, self-funded, and self-propagated (i.e., indigenous, not foreign, missions activity). See? No movements, no denominations. Every church is to exist under the leadership of the municipal and provincial council, but without outside influence and without forming networks, presbyteries, or other such groups. Yet if the government allows for legal Christianity—even visible, public, meet-in-a-brick-and-mortar-church-building Christianity—what about all the stories of persecution and “underground” Christianity and house churches? 3. Understand the existence of the house church movement. Yes, Christianity in China is legal, and yes, churches can meet publicly under the TSPM banner. But this comes with consequences. The TSPM reserves the right to censor and control their churches to the extent they deem necessary and appropriate. Granted, things used to be much worse than they are in 2017. In days past, certain biblical books were forbidden as texts of exposition (mainly end-time ones like Daniel and Revelation), evangelism wasn’t allowed, the gospel couldn’t be boldly proclaimed, and so on. Consequently, many Christians have decided to meet outside the TSPM structure. These are the so-called underground churches or house churches. They meet in storefronts, off-hour bars and restaurants, or rented homes and apartments. All these churches are considered illegal by the Chinese government and are therefore the object of persecution if they’re located and fail to comply. The local officials will sometimes know about these groups and turn a blind eye, but since they’re illegal there’s no ultimate peace of mind; they can be harassed if pressure’s applied to those keeping an eye on them. The government has gradually loosened restrictions, though again this depends on time and place. Today, it’s not altogether uncommon to attend a TSPM church and hear the gospel preached or hear an exhortation to share your faith with others. The Chinese government has even extended an invitation for house churches to come forth and be registered. The authorities have promised safe harbor in your current “underground” meeting space; they just want to know who and where you are. So, with such evidences of relaxation, why are some Christians still underground? 4. Understand the continuance of the house church movement. First and foremost, house church leaders aren’t underground because of the extent of governmental meddling, but because of the mere fact of it. By analogy, consider the Boston Tea Party of the American Revolution. Contrary to popular belief, this protest had little to do with rising taxation in the American colonies. The Tea Act of 1773 actually reduced the tax burden on Americans. The colonists took issue with Britain’s ability to get involved at all, whether or not the effects were favorable. This is the house-church stance. Extend all the apparent olive branches you want, but Jesus Christ is still the head of the church, not the TSPM and not the CCC. Second, further clouding the issue is a historically rooted distrust of government attempts to help Christians. The invitations to voluntarily register churches have been met with skepticism by anyone with a history book. And even if motives are currently pure, the Chinese government has been known to change its mind. What if the winds of favor shift tomorrow? Finally, there are still undesirable restrictions—restrictions registered churches have learned to tolerate, but policies with which many house church leaders can’t get along. Even at registered churches, for example, all events must occur during designated times at the designated facility. Small groups, home groups, training events, and so on must all take place at the church building where things can be monitored. Some pastors are required to submit sermons to a government official ahead of time for review and approval. A final question might be helpful for Christians in the West: If the TSPM and the CCC govern Chinese religious affairs, what about all the foreigners in China? Can they go to a Chinese church? Does the government also govern international churches, and if so, what does that look like? Some foreigners, whose language ability is up to snuff, attend Chinese churches. Others huddle together in living rooms and listen to audio sermons from abroad. Still others band together in visible, recognized international churches. This latter category exists in larger cities with significant international populations. Such international churches are typically asked to check passports at the door to ensure the congregation is indeed international and not local. Again, there are always exceptions, but most “registered” international churches meet at a Three-Self building when the Chinese congregation isn’t using the facility. A common scenario is for the Chinese church to use the building in the morning and the foreigners to roll in around 4 p.m. for their service. But even then, it’s not as if the international church is recognized in the same way the Chinese congregation is. Maybe “recognized” is a better word for international churches than “registered.” These congregations rarely use “church” in their name, opting to call themselves a “fellowship” instead. One pastor described it to me by saying it’s as if the government views the international gathering like a Sunday school of the local TSPM church. The church meets there in the morning, but they allow some foreigners to come in the afternoon—all under the same umbrella of that one, sanctioned TSPM church. Requests from the foreigners to move to a bigger space, change locations, add a second service, or host an outside event are met with disdain. For these (and other) reasons, the international church picture resembles that of the Chinese church: some registered churches, many more underground churches, and some that are hybrid—unregistered, but meeting publicly. Many questions remain, of course; these five points are by no means exhaustive. But it’s worth noting that the needs in China are as great as ever. The church in China is often lauded in the West as the pinnacle of modern Christian discipleship and church planting. And in some ways it’s a reputation well deserved. The church in China has been forged through the fires of persecution, and the Christians there are men and women of immense faith with great joy in the Lord. The harvest is still plentiful, and the workers are still few. In fact, the workers seem fewer than they did a decade ago. But there’s also plenty of messiness. 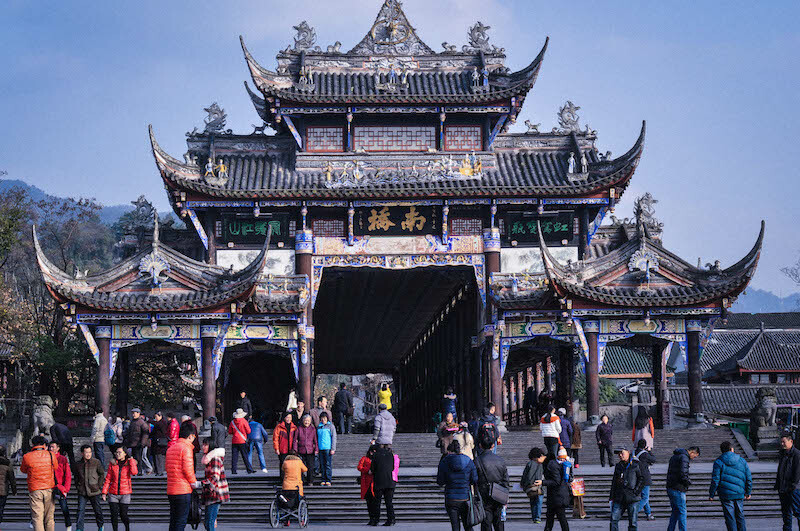 Statistics of churches planted are often inflated; conversion stories are sometimes contrived; missions agencies and sending churches are exporting poor theology; and many Chinese house churches are rife with bad doctrine and influence from destructive cults. The harvest is still plentiful, and the workers are still few. In fact, the workers seem fewer than they did a decade ago. Pray for a new crop of workers—both missionaries and marketplace workers—to help resource, equip, teach, and train one of the largest church movements on the planet. Colin Clark is an international pastor in China. You can reach him by contacting TGC ([email protected]).